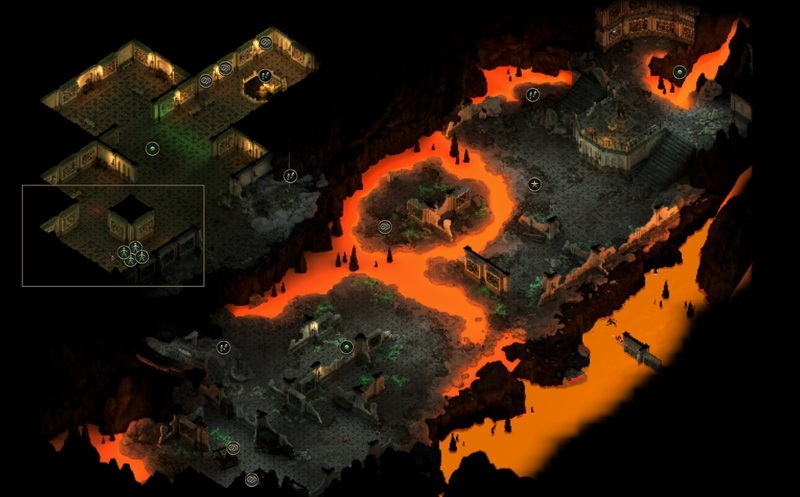 Burning Library-Lower Ruins is an location in Tyranny. Same as the Upper ruins, this place is filled with banes and Scarlet Chorus forces. If you sided with Disfavored, you need to defeat them before exploring further. One Disfavored scout can be found at the south cornor of the ruins. He is one of the missing scout of quest The Ties that Bind. Dont forget to examine all the bookcase for the parchments. One easily been neglected bookcase is located on north of that statue, not far from the entrance. Once you collect all four parchments, you can unlcok the magic barrier to the Silent Archive. The correct order of unlocking magic barrier is north, south, west, east.